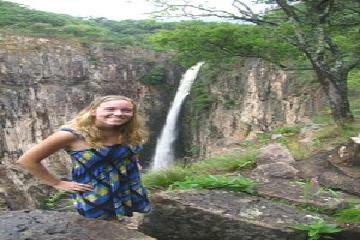 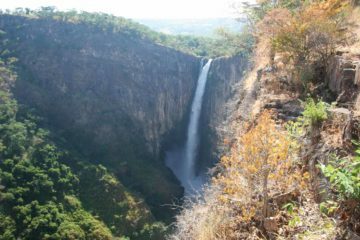 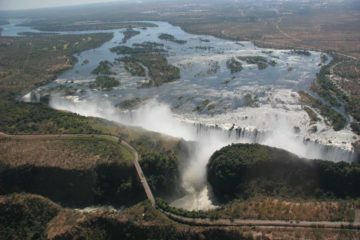 Zambia Waterfalls are abundant, but outside of Victoria Falls, not many people know about them. 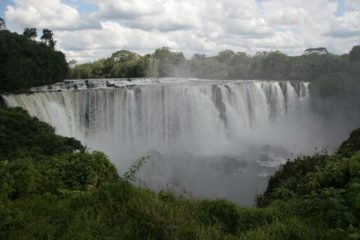 While Mosi-oa-Tunya (the local name for Victoria Falls meaning the “smoke that thunders”) deservedly gets the lion’s share of the attention, and wildlife game parks like South Luangwa National Park and Lower Zambezi National Park get the remainder of the tourist time and money, the country is in the midst of trying to bring more tourism to its overlooked regions in the country’s north. 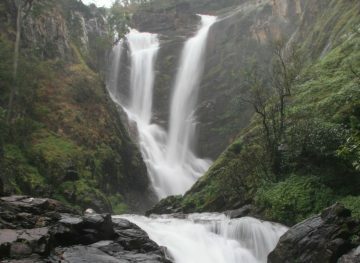 Perhaps the most important features driving this push to promote the north are its numerous waterfalls! 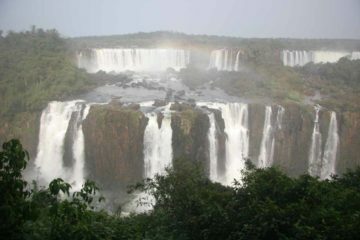 It felt to us like we were right at the forefront of this push to bring more attention to the country’s waterfalls during our May 2008 visit. 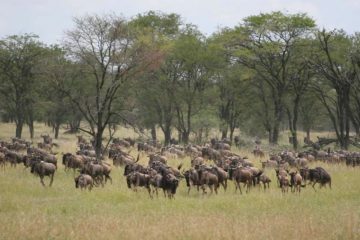 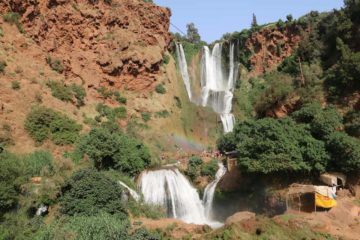 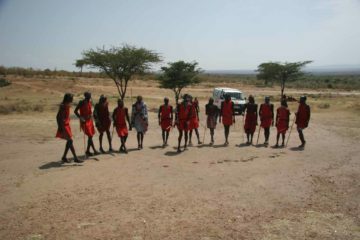 For a visit out to these remote regions meant getting way off the typical beaten path on most tourists’ radar and really get to become more intimately familiar with the rhythms and pace of life in what many would consider to be the real Africa. 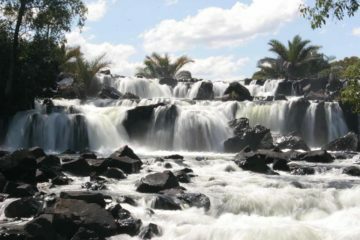 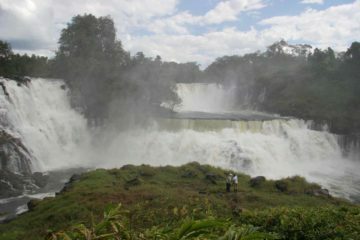 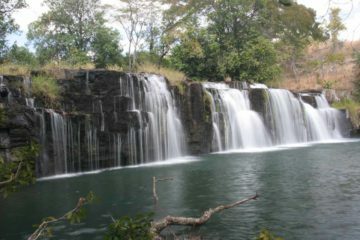 Among these waterfalls are the towering Kalambo Falls (the country’s other cross-border waterfall), the wide and unique Kabwelume Falls, the intriguing Ntumbachushi Falls, and a smaller version of Victoria Falls (but impressive in its own right) in Lumangwe Falls. 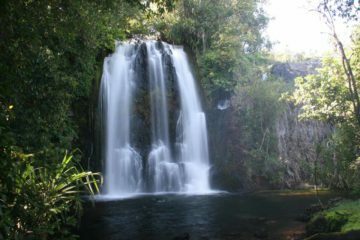 Complement the waterfall sightings with the wildlife, the domes of the Mutinondo Wilderness, the beaches of Isanga Bay (on the shores of Lake Tanganyika), and we believe that the rewards and life changing experiences will be carried with you even more so than the attractions themselves.